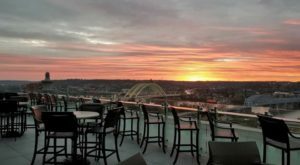 Summer is made for day trips, and Cincinnati is perfectly situated to reach a number of incredible spots that offer just about everything. Within a couple of hours, you can be zipping through a cool cave, swimming in a sapphire lake, or even sampling the freshest ice cream around. 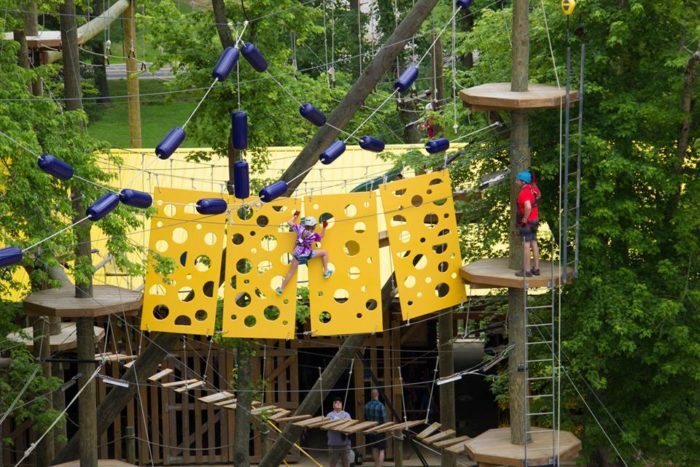 Whether you’re looking for a way to spend a day this summer, or perhaps seeking out ideas for a “staycation,” check out this list of eight out of this world day trips to take from Cincinnati that are ideal for summertime. 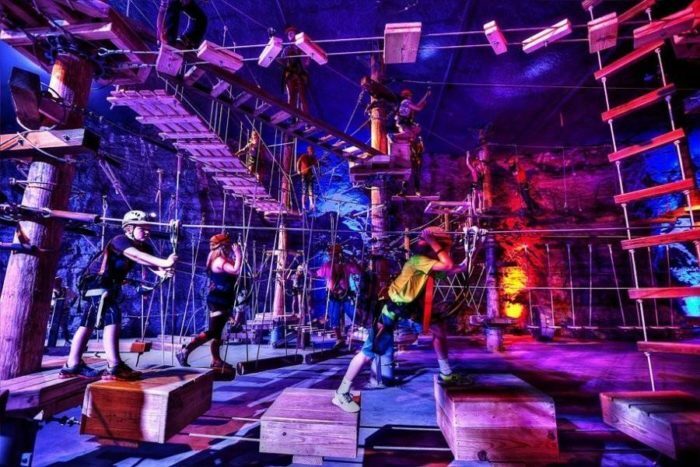 With a short drive to Louisville, you can cool off with a variety of underground adventures in the Louisville Mega Cavern. There are zip lines, a ropes course, and even tours that are available by tram or bike. It's perfect in the summertime, especially when you need a break from the heat - and it's just a 1.5-hour drive from Cincy! The Lousiville Mega Cavern is located at 1841 Taylor Ave., Louisville, KY 40213. For more information, check out our previous article here. 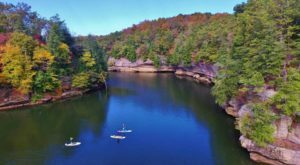 Just across the Indiana border, roughly an hour away, is the picturesque Brookville Lake, which makes a great day trip for Cincinnatians who want to feel like they're on vacation. With more than 5,000 acres, you can enjoy a variety of water sports and relaxation on the lake, then hang out with your toes in the sand at one of the two beaches. 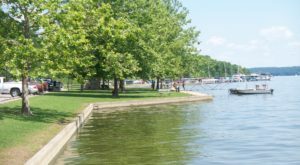 For more on Brookville Lake, check out our previous article here. 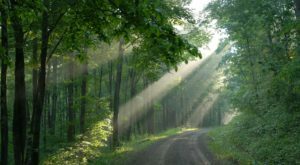 Located in Loudonville, Ohio, Mohican Adventures is a true day trip that's about three hours from Cincinnati, but it's so unique that it's totally worth the drive. The aerial course (shown above) is the main highlight, but you can also canoe on the river, and there are activities for a variety of ages and abilities. Mohican Adventures is located at 3045 OH-3, Loudonville, OH 44842. For more information, check out our previous article here. 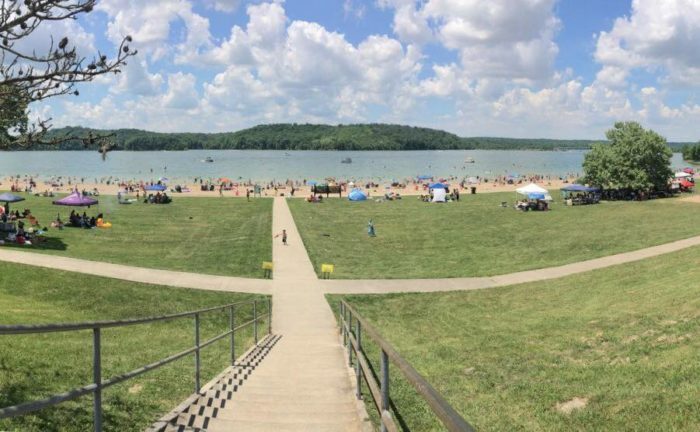 White Rock Park in Indiana is about an hour west of Cincinnati and is the best day trip for outdoor summer fun. 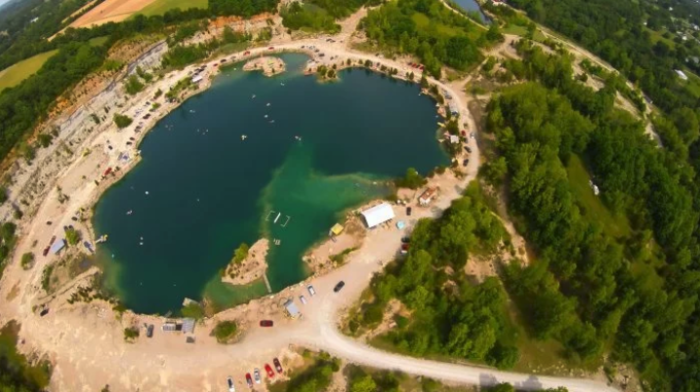 The swimming lake is ideal for floating and relaxing, or you can check out the jumping spots and zip lines. For a bit of nostalgia, don't forget to take a ride on the rope swing. White Rock Park is located at 7080 S 750 E, St. Paul, IN 47272. For more information, check out our previous article here. 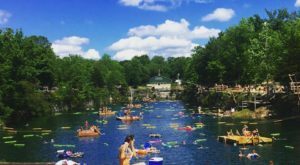 For another epic spot to cool off near Cincinnati, head to LaGrange and Falling Rock Park. 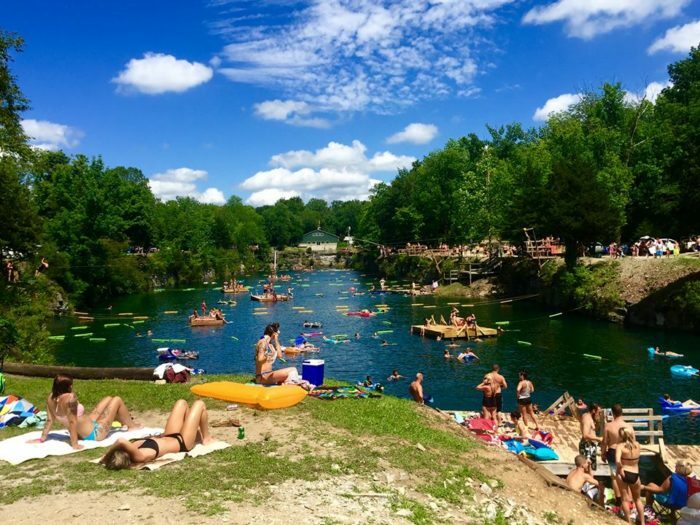 This adults-only swimming hole has the bluest water you've ever seen and is so large, you can choose to relax with a friend or invite everyone you know to join you. Falling Rock Park is located at 9272, 2201 Fendley Mill Rd., LaGrange, KY 40031. For more information, check out our previous article here. 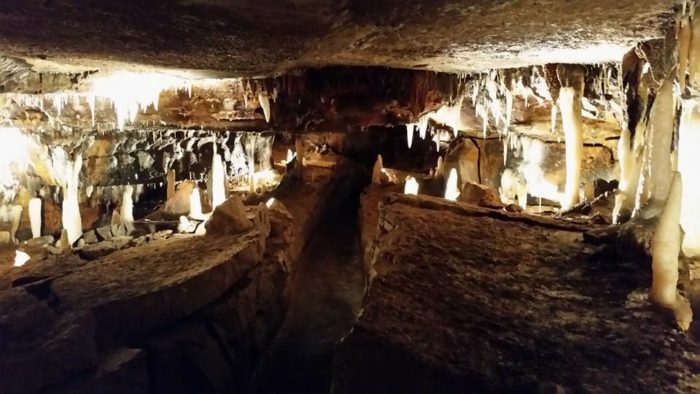 For more underground adventure, and a cool spot to explore, head to Ohio Caverns. This cave system is the deepest in Ohio and it's known as colorful and full of intrigue. There are a variety of tours offered, so there's something for everyone. Ohio Caverns is located at 2210 SR-245 E, West Liberty, OH 43357. For more information, check out our previous article here. Clifton Mill is just a short drive from Cincinnati and offers plenty of scenery and activities for a day trip. You can start with breakfast at the restaurant and then roam the property, exploring this historic mill. 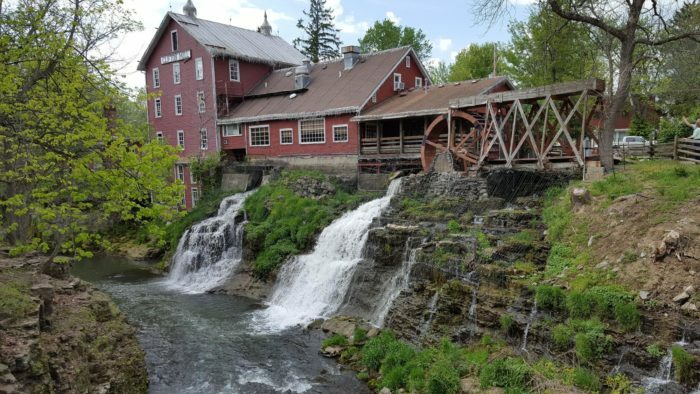 If you have extra time, visit nearby Yellow Springs for some small town fun. Clifton Mills is located at 75 Water St., Clifton, OH 45316. For more information, check out our previous article here. In the same area of Yellow Springs is the sweetest day trip near Cincinnati: Young's Jersey Dairy. This working family farm produces some of the best ice cream and cheese curds you'll ever taste and it's also a family-friendly destination for all sorts of fun. Visit the animals, play games, eat at the restaurant, and much more on a day trip to this nearby farm. 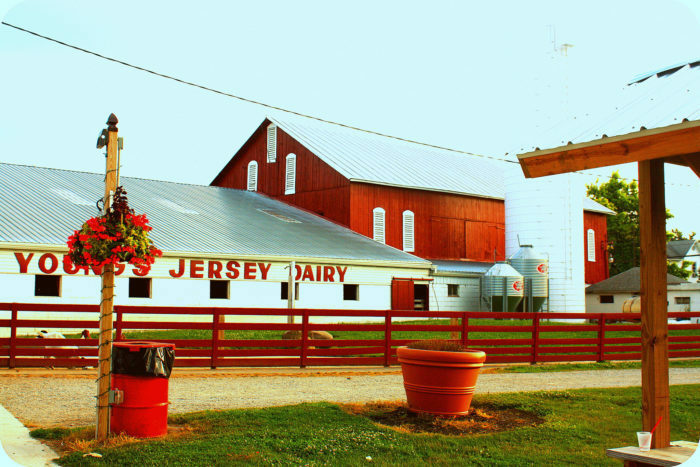 Young's Jersey Dairy is located at 6880 Springfield Xenia Rd., Yellow Springs, OH 45387. For more information, check out our previous article here. 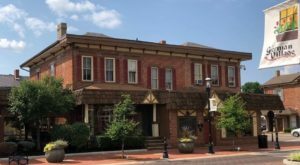 It’s fun to break up the heat of summer with a day trip here and there and these eight spots near Cincinnati can make just about anyone happy. Have you taken any of these trips? Are there any others you have planned for this summer? Let us know in the comments! 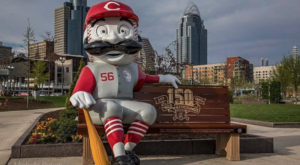 And for even more day trip ideas from Cincinnati, check out our previous article here.